The Task Force has been a regional response to hate crimes and bias incidents since 1997. 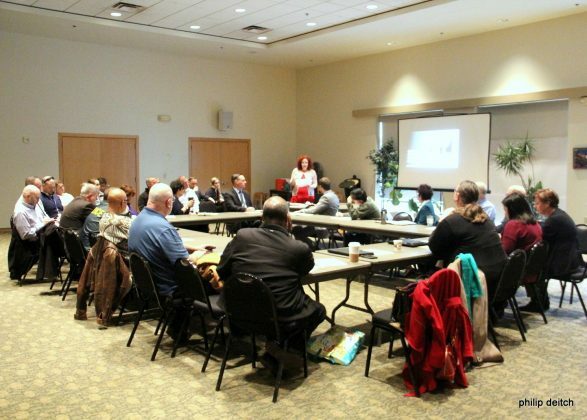 More than 90 representatives of organizations and agencies engaged in the work of decreasing racism, bias, bigotry and discrimination and promoting diversity and inclusion meet to discuss incidents, share concerns, create responses. The original goal of the hate crimes initiative was to make St. Louis a zero tolerance community in response to acts of bias, bigotry, racism, oppression and discrimination. To achieve this goal, the task force outlined objectives and developed complementary program initiatives. ADL staffs the work of the Task Force led by the US Attorneys for the Eastern District of Missouri and Southern District of Illinois. Most recent concerns raised include the increasing number of bias and hate incidents against area Muslims and Sikhs due to hate based rhetoric most prominent in the politics of local and national campaigns. For more information, please contact Karen Aroesty at karoesty@adl.org.